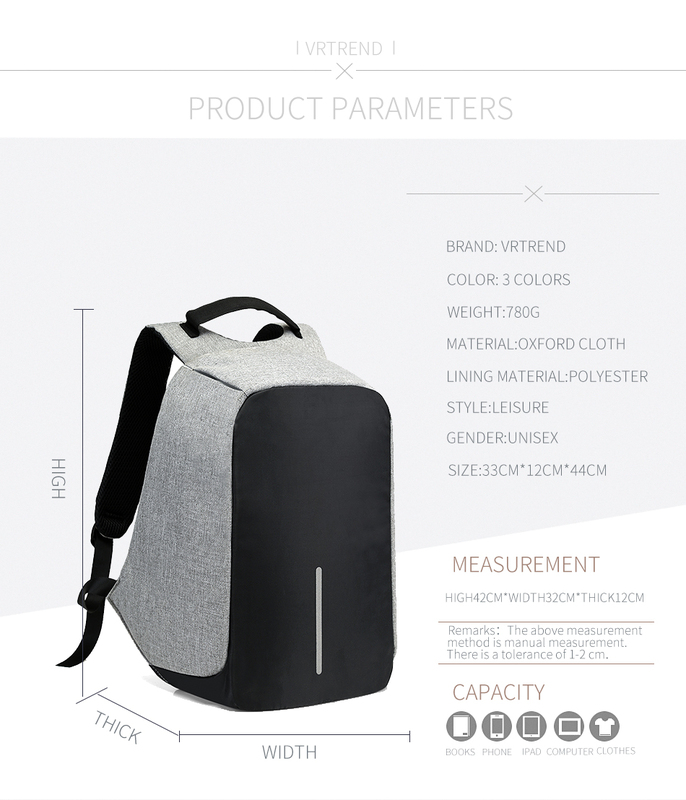 Home / Products / Backpack Travel Security Waterproof. Make your trip easier. Backpack Travel Security Waterproof. Make your trip easier. The backpack travel security waterproof is useful when travelling. All the important things in the bag will be safe from the rain. 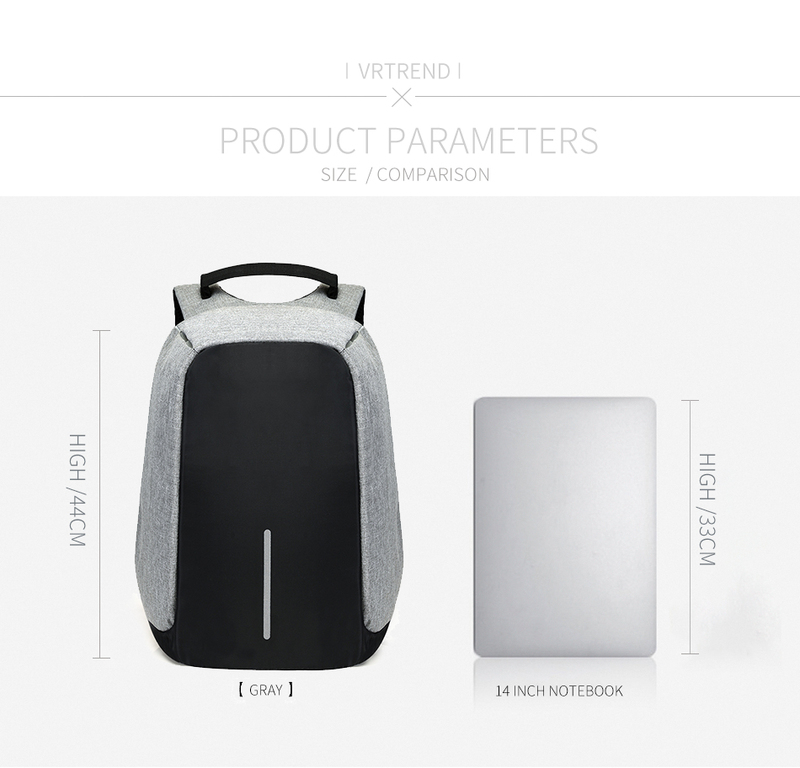 The backpack fits laptop 15 inches. The backpack travel security waterproof keeps your things dry even it’s raining heavily. The soft handle takes the strain off your shoulder, your neck when carrying too much. The backpack has USB pack in its side so no longer worry about your phone out of battery. With 33 cm high, 12 cm thick and 44 cm width, it is fit to wear this item everywhere. 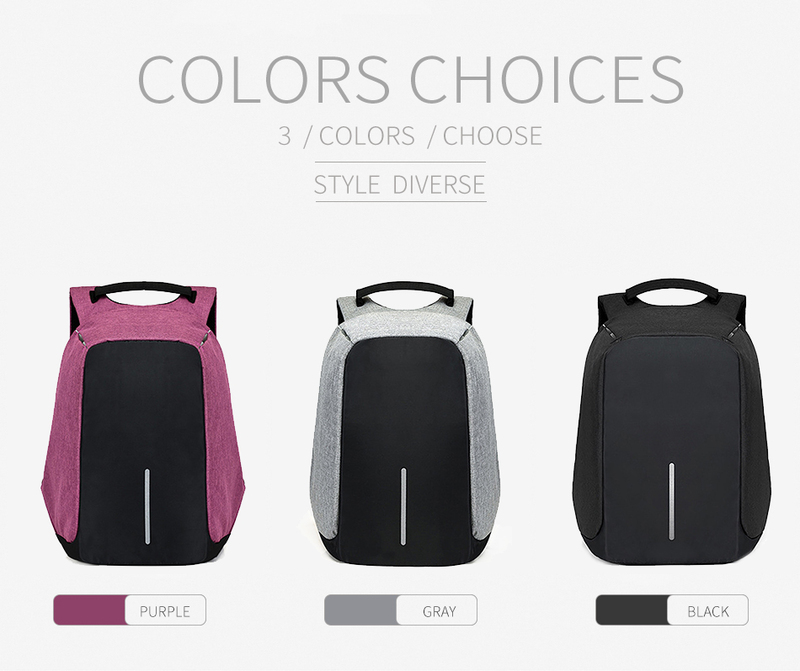 There are three colors of backpack for you to choose: purple, black and grey. Digital Accessories Storage Pouch. Keep your digital accessories safe.